We’ve been hearing more and more about Business Relationship Management (BRM), and for good reason. BRM has been defined as ‘a formal approach to understanding, defining, and supporting inter-business activities’ and therefore is essential in helping service providers deliver the right kind and level of service. Without BRM telling us where to aim, we have practically zero chance of hitting the right target. The key skill needed for effective BRM is to understand the customers. That means more than knowing where they live and what they do, but also knowing how they feel, their concerns and their preferences. Sometimes getting what we need as suppliers – things like sales, success, profits, or even peace and quiet – depends almost entirely on understanding and delivering according to the preferences of our customers and of others with influence over our customers. The truth and complexity of that can be anything but obvious. Let’s look at an analogy. Might seen stretched but I hope you will see the connection. I’ll explain how I got to this. 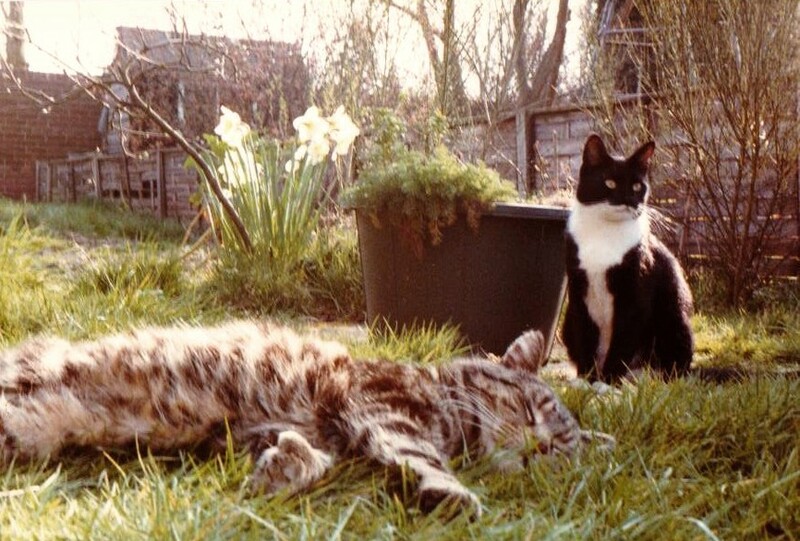 So… time comes for our cat to be ready and male cats duly arrive – lots of young hopefuls first, then, just in time, the local professionals: two large males. We had expected a fight between them but got quite the opposite. One, a muscular and aggressive tabby, quickly got rid of all the youngsters. By contrast, the other was large, black, soft, and exceedingly friendly. He delivered professional levels of cute: laid on his back outside our door, purred, and invited our fussing. He was adorable, knew it, used it: so lovely he got welcomed into the house. The teamwork was infallible. One played the military role removing any competition through force; the other used pure diplomacy and won over the humans – the real layer of protection around the object of their desire. These two male cats then had exclusive shared access. Seems that it’s common for a female cat to have a litter with kittens from more than one father and we got a mix of black and tabby kittens several weeks later. It was a demonstration of how survival of the fittest actually works in practice – it’s not always about fighting and destroying the competition, but sometimes it’s based on a surprising degree of collaboration between apparent rivals. It’s better to share success and get some reward than risk damage and get nothing by trying to get everything. Teamwork is about using different skills together. Each team player might have their own specialist skills but getting your bit right does depend on knowing what others can do. Remember what the goal is. It’s rarely about beating your neighbors and colleagues, more likely it’s a team goal. In fact, the best ITSM teams are evolving like the best soccer teams in this respect. You need to know who has the power over your situation and what appeals to them – some stakeholders will be a means, not an end, but one you need to exploit on the way to your goal. Working with the other parts of IT to deliver a complete and maintained service has to be better than seeing the rest of IT as competition. Most organizations have enough competitors without fighting internally. DevOps isn’t about making Dev and Ops talk to each other, instead it’s about seeing both as players on a single team and that can – well, should – go wider than just Dev and Ops too. The right role isn’t just set by what you can do best. The optimum role for any individual is set, in part at least, by what others can do. That’s a key difference between how a team works and a group of individuals behave. If you put your efforts into striving for the wrong things, while you might achieve them, it won’t deliver success for the team. Ever since Pyrrhus, it’s been clear that winning a battle doesn’t always deliver final victory. Identify all the relevant stakeholders and explore how they can be used to advance towards the correctly identified goal. For example, how much might one customer be influenced by how other parts of the organization or even by suppliers do things? Can you influence a supplier to affect your customer’s thinking? Working with others towards shared goals is logical. Don’t confuse your colleagues with competitors; seek shared goals rather than differentiation. That’s exactly what those male cats did. They understood what they wanted to achieve, realized collaboration was the best way to achieve it, recognized and trusted each other (like we should with our colleagues) and then worked collectively as one.